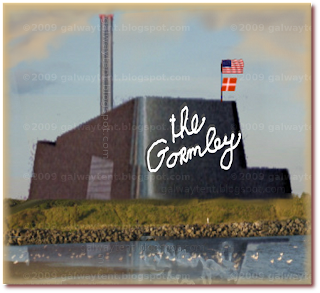 The Galway Tent Blog: Gormley Lies In Dail About Poolbeg Incinerator Process? Gormley Lies In Dail About Poolbeg Incinerator Process? "In carrying out their functions, planning authorities, including An Bord Pleanála, and the EPA in regard to waste licensing, act independently of the Minister." Is the above statement tresspassing on a lie? Or simply not fully truthful? Or just part of the spin process known as The Big Lie? The Greens have stated the "EPA is utterly compromised" [Boyle]. EPA's "independent" Board contains a former industry employee (Burke of Indaver). An ex-EPA Director has worked to promote the Poolbeg Incinerator and the failed West Dublin Incinerator. In office Mr Gormley has not corrected EPA's apparently dodgy corporate governance. In office Mr Gormley has not corrected Bord Pleanála's apparently dodgy corporate governance. Compare & contrast: DDDA and Anglo-Irish Bank. In office Mr Gormley has apparently not corrected DDDA's dodgy corporate governance and supports the non-bankruptcy of the cowboy Anglo-Irish Bank. Serious potential conflicts remain in place. I thank the Acting Chairman for the opportunity to raise this matter which is of great importance in my constituency. It is also significant for the people of Dublin and nationally. It relates to the implications of the decision by Dublin City Council, through public private partnership, to commence the construction of an incinerator in the Poolbeg area on 14 December. I am more than disappointed with the Minister, Deputy John Gormley’s behaviour concerning this proposed incinerator in the past two years since he entered the Department of the Environment. When he took up office, I had high hopes and expectations. The high standards he set for his predecessor in Government in our mutual constituency, the then Minister, Michael McDowell, made it very clear that the Minister, Deputy Gormley, expected nothing less from Mr. McDowell, as a member of Cabinet, than to put a stop to the proposed incinerator. In March 2005, the Minister, Deputy Gormley, said the time had come for the Minister to stop bleating and deliver to his constituents as promised. It is clear to me there is more than one sheep in Dublin South-East because there has been plenty of bleating from this Minister over the course of the past two years and many years prior to that when he was a very vocal and outspoken Opposition Deputy who was clearly opposed to this incinerator. It is a pity that the high standards the Minister set for the former Minister when he was in office appear not to apply to him in his high office now. He has had two opportunities. The first was in the original programme for Government which was negotiated in 2007. I put it on the record then and I called on the Minister to seek agreement from his colleagues in Cabinet to commit to stopping the incinerator at Poolbeg. He failed to do so, but he had a second opportunity some months ago. Again, I hoped and expected that something would be achieved on that occasion, but, yet again, no agreement was secured at Cabinet level. On two occasions the Minister has failed the people of Dublin South-East and has failed me as his colleague because I held him in very high regard. On 26 November, the company which was contracted to build the incinerator, Covanta Europe, lodged a notice with Dublin City Council to begin construction. The plan is to start on 14 December. I would like to know what the Minister plans to do about this. There were plenty of reports in the media in recent weeks stating that Dublin City Council has threatened legal action against the Government if it acts to interfere with the process as set out by the council. Has the Minister given any consideration to whether there is an opportunity for the Government to initiate legal proceedings, for example, with an injunction to prevent this preposterous monstrous incinerator from going ahead? Has he consulted the Attorney General? I reiterate my point. The approval to build this incinerator will create a monster. The Minister, Deputy Gormley, was very vocal on this issue until 2007 when he became a member of the Cabinet. It is intended that the incinerator will have the capacity to burn 600,000 tonnes of waste on an annual basis. That is far too much. The report carried out by An Bord Pleanála inspector recommended to the board that the capacity of this incinerator should be reduced and, at very minimum, that it should not go ahead as a 600,000 tonne-eating furnace in its proposed format. That was ignored by the board of An Bord Pleanála. If we are to take the Minister seriously in his role, both as a constituency Deputy for Dublin South-East and as Minister for the Environment, Heritage and Local Government, surely the blatant and flagrant ignoring of the recommendations of the internal inspector’s report to An Bord Pleanála merited investigation by him. The Minister had the power and authority to do this but failed to act. I am very disappointed by that. The Minister is in the process of appointing somebody to initiate a review under the powers afforded to him by section 224 of the Local Government Act. Clearly, however, this is an investigation that will be carried out after the horse has bolted. According to a response the Minister gave less than two weeks ago to a parliamentary question I tabled, he had not appointed anybody to carry out the review at that point. I am not aware that he has appointed anybody since then. He may enlighten the House now. Does the Minister propose to appoint somebody after the trucks have trundled down to Poolbeg to begin construction? Will it be in January after the foundations have been laid? I do not understand the Minister’s motive or purpose, which appears to be futile. If something is not done before 14 December, we can hang up our boots and regard the development as going ahead. That the Minister has failed to address this is a shocking indictment of him, bearing in mind that he has been in one of the highest offices in the land for more than two years. The Irish Waste Management Association agrees with my point on this matter. Any objective observer will see quite clearly that, by having an incinerator of this magnitude, we are disincentivising recycling and waste reduction and negating all the values the Minister’s party and he, as its leader, have espoused for many years. That is very disappointing. I was on a television programme some nights ago being harangued by members of Fine Gael who were telling me I should do more about floods. In the audience was a Fine Gael councillor who had rezoned land in a flood plain. I now feel like I did on that night because, as Deputy Creighton will know, it was her party that introduced the legislation to provide for incineration and her party, along with other Opposition parties, that voted for this proposal in 1998. Those are the facts and the difficulties with which I must deal. As the Deputy is aware, waste management infrastructure projects are advanced by private sector service providers or by local authorities. It is a matter for the promoters of such projects to seek and obtain the necessary regulatory approvals, i.e. planning permission and a waste licence. In carrying out their functions, planning authorities, including An Bord Pleanála, and the EPA in regard to waste licensing, act independently of the Minister. Similarly, the commencement notice is a matter for the local authority concerned and its private partner. Since taking office, I have continually stressed my twin environmental priorities of dealing with climate change issues and ensuring that we make the necessary quantum leap in how we manage our waste. We must explore the full range of technical solutions in addition to modifying our behaviour in support of sustainable waste management. Undue emphasis on incineration as the cornerstone of waste management policy is detrimental to the development of alternative solutions and the transition to sustainable management of waste and resources. In particular, I am concerned that the provision of excess incinerator capacity can create an economic incentive to send waste to incineration which could effectively have been dealt with by reuse or recycling. As a first step in my approach to modernising and reorienting the waste management sector, I arranged for an international consortium of consultants to undertake a comprehensive study on the waste sector, to cover a wide range of issues which will help identify how best to proceed with further efforts to reduce waste levels, improve recycling rates and deliver equitable and cost-effective waste management solutions. On 19 November, I published the consultants’ report. This will be the launching pad for the policies we now need to mark a new departure in our approach to waste management. I am discussing with my colleagues in Government proposals to give effect to recommendations of the waste management policy review which will, inter alia, ensure the proper ordering of the waste collection and wider waste management market. I want to provide certainty for those in the waste management sector and a framework within which the necessary legislative changes can be brought forward. The quantities of residual waste currently being collected by the Dublin local authorities would not be sufficient to meet the put-or-pay requirement in the incinerator contract into which Dublin City Council has entered. We have recently seen further increases in recycling rates in Dublin with a corresponding drop in residual waste volumes. Importantly, the recommendations of the report published on 19 November, which I intend to implement, will have the effect of further reducing the volumes of residual waste generated and driving more waste towards recycling. I am, therefore, concerned that the proposed incinerator will prove to be seriously oversized and that a liability for the ratepayer and taxpayer may ultimately arise. Dublin City Council is in a 25-year contract in regard to the incinerator and any liability is, therefore, potentially very substantial. In these circumstances, I have decided that the most appropriate course of action is to appoint an authorised person under section 224 of the Local Government Acts to conduct a full review of the financial implications of the project for the State in the event that the incinerator is oversized vis-À-vis the quantities of residual waste available in the Dublin area and the quantities controlled by Dublin City Council.